We’d love your help. 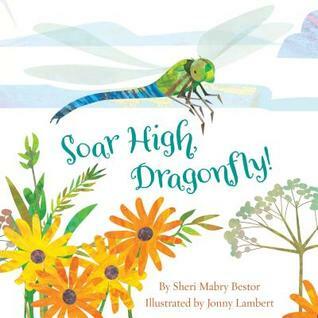 Let us know what’s wrong with this preview of Soar High, Dragonfly by Sheri M. Bestor. To ask other readers questions about Soar High, Dragonfly, please sign up. cute story! bright and fun illustrations. The context will be better received by my sons next spring when they are older. Looking forward to pulling this book out again later and searching for dragonflys outside! Perfect combo of a narrative story with lots of nonfiction elements. This is going to be a mentor text for my own writing, for sure.